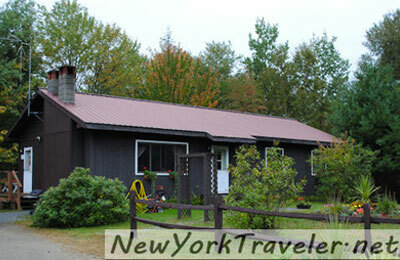 Spring, Summer, Fall the central Adirondack region in NY has it all! For any season really, the Adirondack Mts in New York State is an outdoors man’s year round vacation playground. 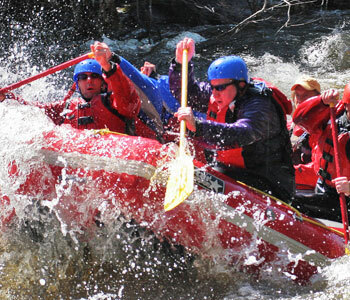 Kicking off this spring is Whitewater Rafting and Fishing. Winter melt off is when the whitewater rapids are not only the most fun but the most challenging as well. Trout season is about to begin in the central Adirondacks, in Indian, Blue, Long, Raquette, Mason Lakes as well as, Lake Durant, Adirondack and Abanakee. 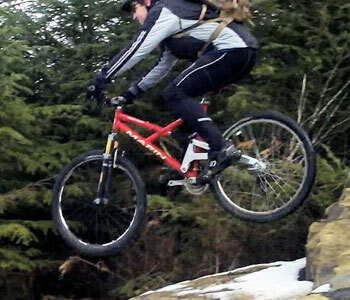 In May and June you can start to mountain bike, canoe, kayak or hike. 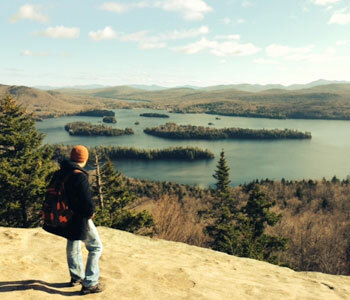 Hiking is premium with Blue & Snowy mountains in Blue Mt Lake and Indian Lake, these are some of the highest peaks in the Adks. But there are numerous other moderate trails interlacing the whole area. High peaks, blue skies & beautiful serene landscape abound. Go from trail to trail or lake to lake, either on your mt bike, by foot or by boat. Great activities for a Mothers Day, Fathers Day or Memorial Day outing. Don’t forget to bring the family. In June there are a couple of special events. The Blackfly Challenge a mountain bike race on June 11th that weaves thru towns starting in Inlet all the way down to Indian Lake and back. At the end of the month there are events and activities for Bird Watchers. But things really heat up for your summer vacation, July- August. 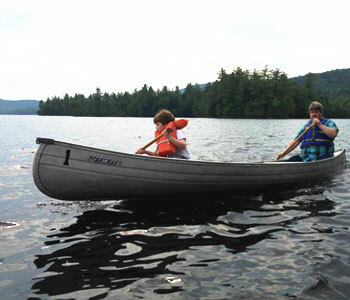 Besides canoeing and kayaking, you can rent a motor craft at the Boat Livery in Blue Mt Lake for water skiing, pontoon boat or a 12 ft fishing boat with a trolling motor, horseback ride in Inlet, take a seaplane ride or golf in Inlet, go on a lunch or dinner Cruise- boat tour in Raquette Lake. 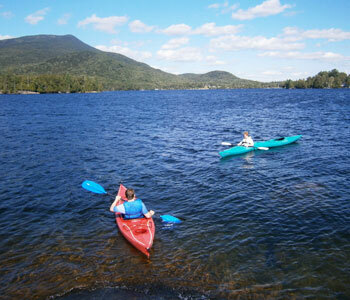 Hit the beach on Long Lake (or on any lake for that matter) or picnic at Buttermilk Falls. 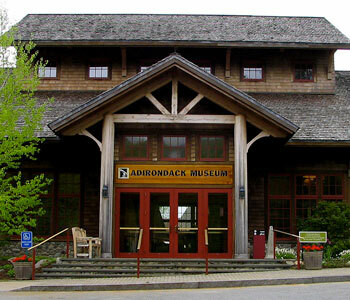 For the extremely rich history of the Adks, there is the Adirondack Museum and Arts Center in Blue Mt Lake, Sagamore in Raquette Lake or the Wild Center in Tupper Lake. And for some excitement and family fun there is Enchanted Forest, a water park in Old Forge. Sept & Oct is not only the foliage season or for the leaf peepers. There is the Rustic Fair, where only the best Adk furniture makers bring their wears and the 90 Miler a canoe/kayak race the weekend after Labor Day that starts in Old Forge, goes thru Blue Mt Lake and ends up in Saranac Lake. In the middle of the month, the 2nd annual Moose Festival is held in Indian Lake. 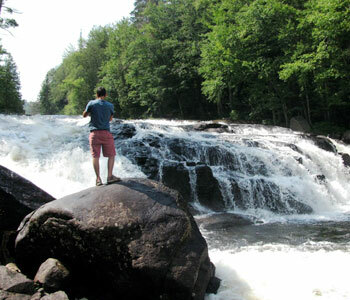 The central Adirondacks, come to refresh the spirit, refresh the soul in the great American outdoors. Take a weekend excursion or a full vacation in a 6 million acre national park which is forever wild. You will never forget this year round vacation playground which is right in your back yard.